There are many home projects you can do that will increase the resale value of your home. 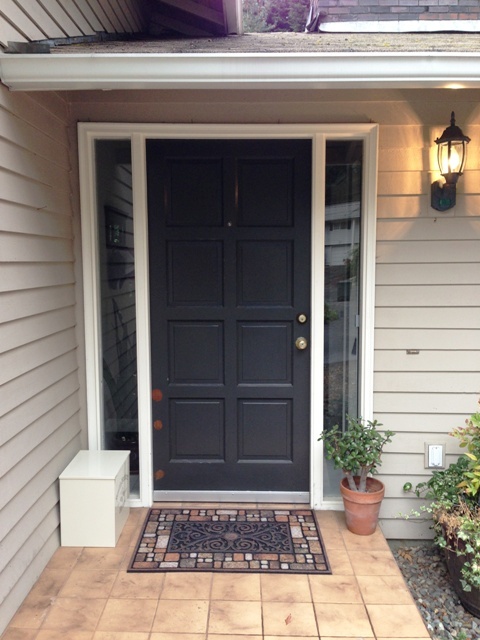 One with a big impact is your front door and entry. The first impression you create to a potential buyer will flavor their whole perception of your home. That's why "curb appeal" is so often mentioned as a factor in valuing a home. Well, our home's "curb appeal" got a boost when we replaced our front door. 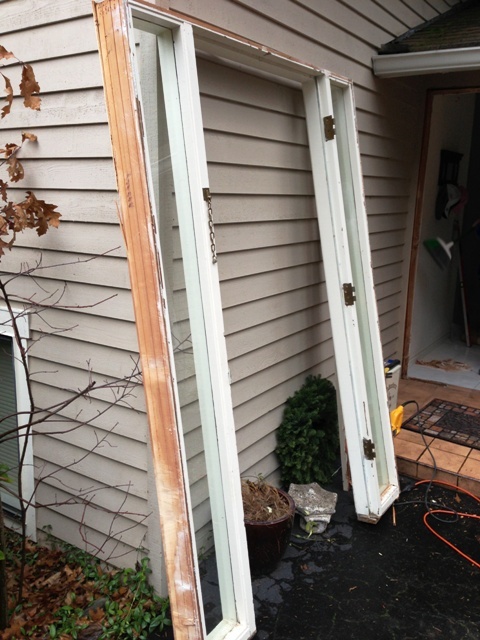 The old door wasn't bad, but the single-pane, clear sidelights were dated and not energy efficient. And, there wasn't a proper threshold at the bottom, letting cold winter air in. Oh, and the paint was peeling off! So, off we went to Frank Lumber in Shoreline. They have a huge selection of doors and accessories. 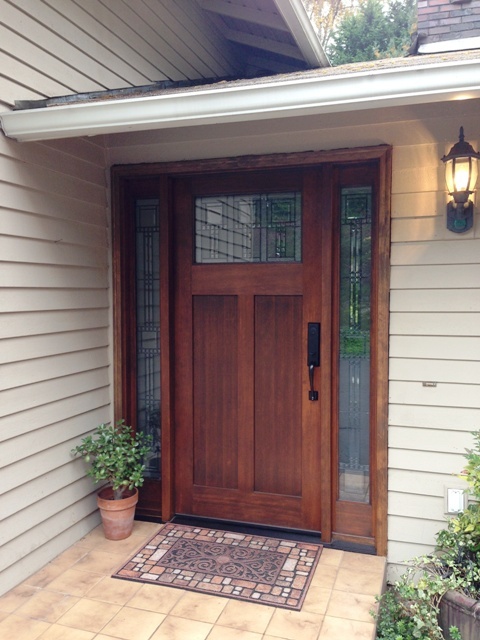 We choose a new door, gave them our measurements and placed the order. These guys are pros so when they give you advice, take it! We chose to stain and finish the door ourselves – wouldn't recommend it. The process took way longer than we thought it would and, not having a lot (or any) experience, we ended up with some trial and error redos. But, it turned out looking great. We had a contractor friend do the heavy work of replacement. Word of wisdom here: unless you are really handy, hire a pro. You will spend a lot more time and potentially a lot more money doing it yourself unless you are experienced. 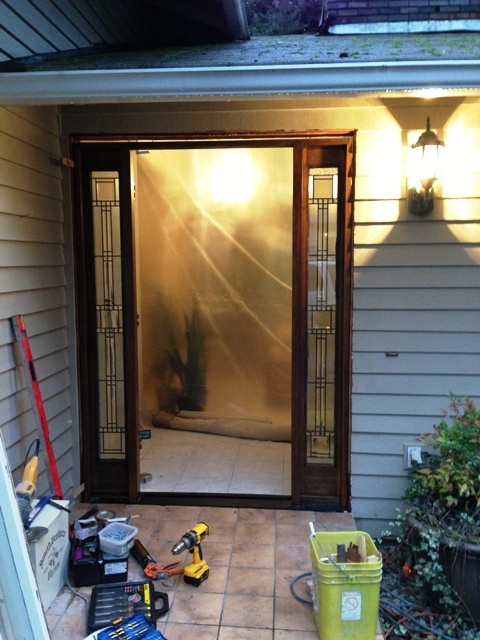 After having the door installed, we finished the trim on the outside and inside. 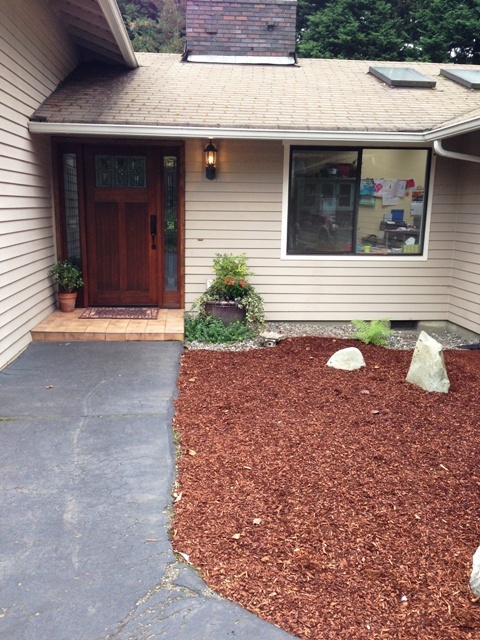 Now we have a nice, new entrance to our house that's weatherproof. Definitely an improvement to the value of our house. Next on the agenda is to take out the tile and add a new deck/front porch. Still in the design phase…..